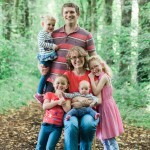 David and Julie Rowbory with their daughters Rebekah, Elizabeth, Abigail and Helen are based in Jos, northern Nigeria, with Wycliffe Bible Translators UK. David is a translation consultant – focussed on training and quality control for several Bible translation teams. Can you support us as we try to support others? With wonderful support from church, friends and family we got through 2 years or so of training in Nairobi. In February 2011, after a year or so in the UK, we had raised enough financial support to take up our assignment in Jos, northern Nigeria to put all the training into practice. 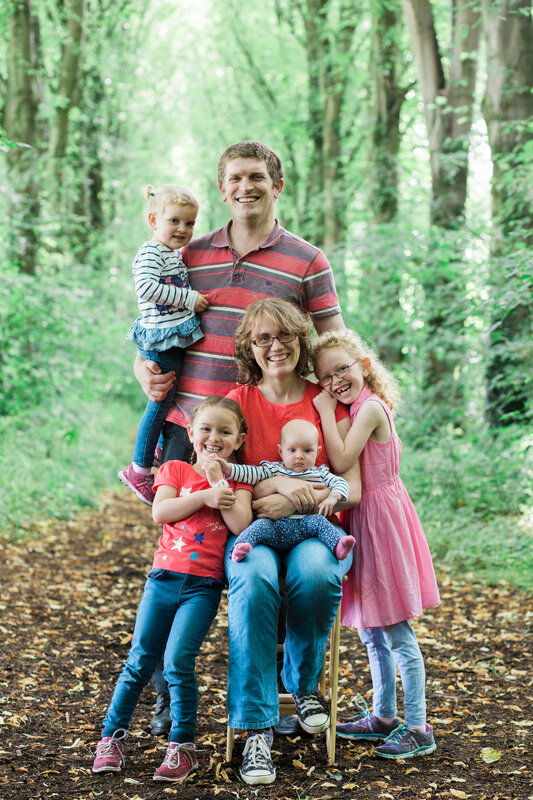 Late in 2012 we returned to the UK for the birth of Abigail, and to catch up with supporters and explain a bit about the work we’ve been involved with, then resumed our work and life in Jos in August 2013. After nearly 2 years in Jos, we returned to Glasgow for the birth of Helen in June 2015 and hope to return again in January 2016. Rowborys in Nigeria from benandren on Vimeo. How are we doing now in terms of support? In short: We always need people to pray for us, we often have little practical things we could do with help with, and while most financial support is in place we could do with a little more regular pledged income. We know everyone’s struggling in the West to make ends meet and some supporters have had to bow out of supporting us until their situation improves; that’s quite understandable. We’re a growing family, and costs do tend to creep up, for housing and living costs and educational materials in particular. The cost of living has also been rising steadily in Nigeria. There are always needy causes and ministry opportunities. At October 2015 we realised we needed to raise £500 per month more to keep afloat (about a 20% increase from 2013-5). By late November 2015 we had seen a couple of new supporters pledge £150, so that now we are looking for about £350 / month. We also need prayer and practical support. How could you support us? Wycliffe Bible Translators and our main sending church (The Tron Church, Glasgow) need to know that we have a good team of people who will particularly pray for us, at least for the next 2-3 years. Can you email us if you feel you can commit to that? Perhaps you could choose a day of the week or month and commit to praying on that particular day. Let us know, and that’ll encourage us too. For our part we try to send at least monthly updates to let you know what we’re aware of God doing in our work, to help inform your prayer partnership with us. Financial support increasing to permit us to return to Nigeria. Immigration/work permits to be renewed in time for us to return. The Gworog team as they continue to work on the Bible translation. If you’ve been supporting us for the last few years then you’ll know that Wycliffe Bible Translators don’t pay a salary. Each member from the Director down to the newest recruit relies for income on God’s provision through friends (and relatives). While we’re all for working with our hands to earn our keep (1 Thessalonians 4:11-12) the truth is that it’s particularly hard to do that and have sufficient time to dedicate ourselves to something like Bible translation. Paul’s ministry was really helped along by fellow Christians giving him financial support (Acts 18). So if you’re able to give regularly to support us, that will let us devote ourselves properly to supporting Bible translation. For more information about supporting us financially please look at the Wycliffe site, or email us. It’s not difficult, but we do need to give particular details so that you can be sure gifts don’t get lost along the way. UK taxpayers can ask for Gift Aid to be reclaimed so that gifts through Wycliffe Bible Translators UK are bumped up to their pre-tax value. A pledge to make regular gifts (perhaps through a standing order) makes our budgetting much easier, but if you’d like to give to support our setup costs or some other one-off thing, that’s going to be helpful too. Financial situations change all the time, so please if you’ve been supporting us and then face a time of hardship don’t feel bad about stopping financial support. That has happened to a few of our friends; it would just be handy to know a little in advance so we can look for other provision. Wycliffe can ensure gifts are kept anonymous if you would like that, but speaking personally, we do also like to know who we’re in partnership with. Click here to give directly through Wycliffe Bible Translators for our ministry by Credit Card or Direct Debit, one-off or regularly. Share prayer news and some of the highs, lows and daily grind of Bible translation and cross-cultural life with others at church, in the family or elsewhere. Storing some of our UK-based belongings (winter clothes, gradually dwindling quantities of books, etc.) that we don’t need or can’t take to Nigeria. Helping get a flat ready to stay in, and also clear it out when we go. Posting us little packages from time to time. Help with downloading large things on the internet to send to us. Posting postcards or birthday cards from time to time. Maybe you could visit us and see what we’re up to yourself, and maybe help out in some small way. We’ll be honest: Nigeria isn’t high up on most peoples’ bucket lists, but we really appreciated a visit from Tron Church friends in 2013. Linguists, Scientists whether you get a kick out of analysing things, puzzling out unsolved problems or learning new languages. Teachers could visit in a holiday to give a bit of a break or extra spice to the homeschool diet. Computer people – especially folk good with fixing odd hardware/software issues and helping translators to use them effectively. When we’re in Nigeria call or text Julie on +2347066356819 or David on +2348151794919 (new numbers since mid 2013) or search for us on Skype (rowbory or julierowbory). Whenever we’re in the UK you can call us on 07754860823 (Julie, new number from 2015) or 07707726988 (David).